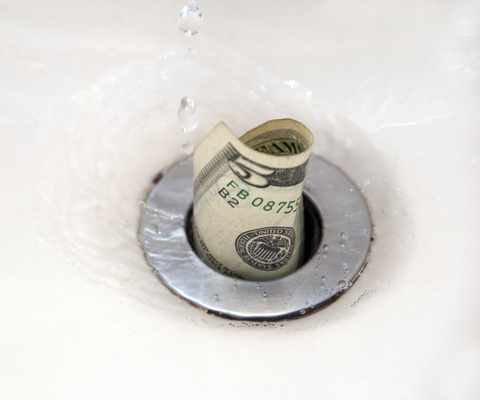 We’ve all made money mistakes and watched our money “go down the drain,” or paid the “stupid tax” as Dave Ramsey says. Yahoo Finance recently shared 10 money mistakes everybody makes, along with practical tips on how to avoid them. Here they are, along with my take on them. 1. Paying much, earning little – Don’t pay high interest on credit card debt while earning only 1-2% interest on your savings. Instead, use your low-earning savings to pay off your high interest credit card debt. But you should only do this after you’ve built up an adequate emergency fund for, you know, emergencies. 2. Buying new when used would do – Why spend thousands more to buy a new home or vehicle when a quality used one would be just fine? A new car is worth thousands less than you paid for it the moment you drive it off the lot. And in many communities across the U.S., due to the housing crash, you can buy a nearly new home for less than it would cost to build the same home new today. 3. Passing up retirement plans – It’s easy to put off saving for retirement until later in life. That’s a big mistake – especially if your employer matches your contribution 401(k) or 403(b) contributions. 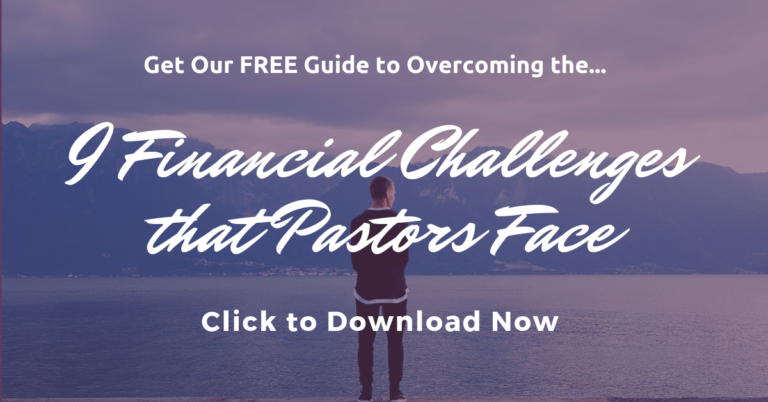 Recognizing that many pastors are ill-prepared for retirement because of inadequate savings, my denomination encourages each pastor to set aside 5% of their income into a retirement savings plan and asks each church to contribute a 12% match. This is a huge blessing that I’d be foolish to miss out on. 4. Being the first on your block to own the latest gadget – Why spend all the time, and possibly extra money, to be among the first to have the latest and greatest tech gadget? Wait awhile until the bugs have been worked out, and the price goes down a bit. I’ll admit that I would LOVE to be among the first to have new tech stuff, but I waited three years before I bought an iPhone and I have yet to buy an iPad…but I hope to be able to get one sometime this year. 5. Paying retail for stuff you rarely use – Don’t spend big bucks on lawn mowers, snow blowers, tools, or other things you use infrequently. Instead, rent, borrow, or share them with a neighbor or friend. We’ve shared mowing, yard fertilizer, and trash pick-up with neighbors and it has worked very well. 6. Paying extra for low deductibles – It’s tempting to want as low of a deductible as possible when shopping for insurance, so you’ll have less out of pocket costs if you have to file a claim. The bad news is that you often end up paying quite a bit more in premium costs for that lower deductible, and you may never, or rarely have to pay the deductible, but you’ll always have to pay the premium. Instead, choose a higher deductible and increase your emergency fund by that amount so you’ll always have that money available when needed. 8. Paying for water – Drinking bottled water is a pricey convenience that I rarely do at home but do quite a bit on the road (I travel a lot). One day it dawned on me that I could buy a gallon jug of water for about the same price (often cheaper) as a bottle of water. So now when I travel I bring or buy one water bottle plus a gallon or two of water which I use to refill the bottle. On a recent trip, I went to a gas station to buy water and noticed I could buy a bottle of water for $1.59 or three gallons of water for $3.00. I ended up buying the three gallons and drank straight from the jugs on the entire trip! 9. Buying into brands – There’s little to no quality difference today between name brand and generic store brand products in the grocery store aisles. In fact, in some cases both brands are made in the same factory! But there’s often a big difference in price. You can often save 20-40% by choosing the generic product over the name brand. 10. Wasting savings – This is where you make significant budget cuts in one area of your finances in order to save more money, but end up splurging in other areas, thereby wasting your savings. I’ll admit that I have done this before! The remedy is to be sure that when you make budget cuts, you automatically put the dollar amount saved into your savings fund to guarantee that you enjoy the savings. Have you made any of these money mistakes? Is there something else that you’d add to the list? Please share your thoughts in the comments! I think I pretty much pass all of these tests except the book one! I really enjoy books and I plan to eventually get back to most of them. Furthermore, I do go back to them and check out areas I’ve marked for future blog posts. 🙂 I only spend like $10 a book though. Forget $25 or 40! I pass most of these, but sometimes I let the lazy take advantage and I don’t make the best but instead the easiest decision. Great advice. I was thinking about this yesterday. If you can wait to buy gizmos, you can save lots of money. Everything new(especially electronics) costs lot more initially. Once more supply comes to the market, prices always fall.